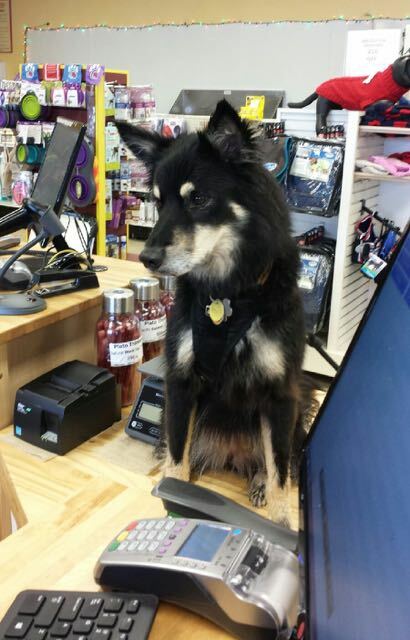 This entry was posted in Dogs and tagged humor, Pet Store, Sage by Sage. Bookmark the permalink. Oh I would totally shop at the store you worked in! Hope you get the job! RosyPoodleKisses! Eating the treats should serve as outstanding advertisement – the more you eat, the more the peeps realize how good they are!!! Happy Sunday – hope your Dad is doing better. My problem would be spending my whole paycheck on stuff at the store! You are purrfect for that job Sage! Sage-I would like that job too! Are they still hiring? My mom is always telling me I need to start earning my keep! Honey says you’ve given her an excellent idea. OMD that sounds like the best job everr!! !